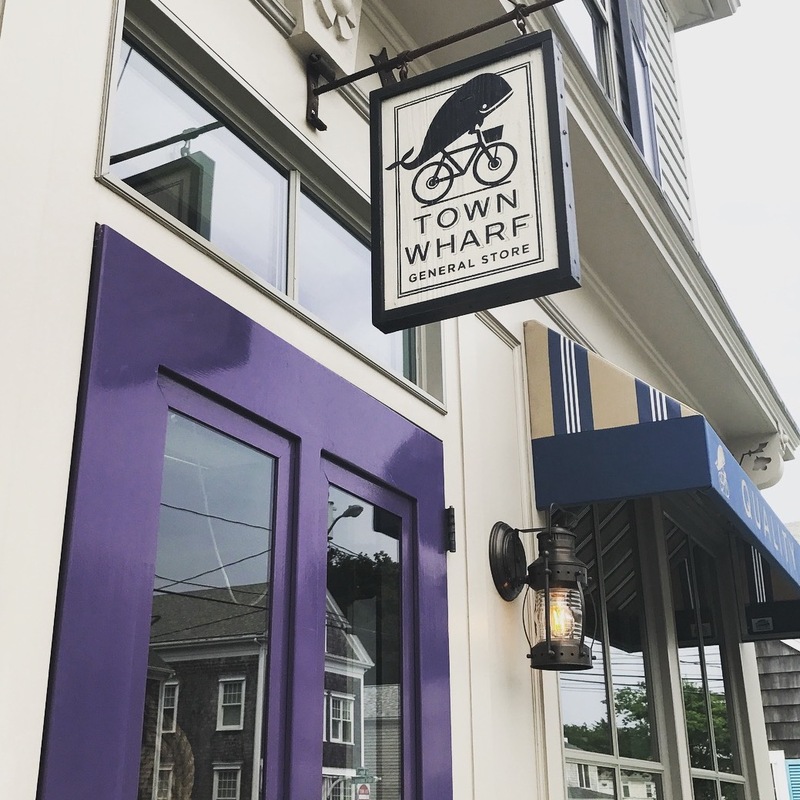 We recently welcomed Mattapoisett Boatyard to Dockwa, and lo and behold one of our first Boater Bloggers just happens to have a post about this cool little town! We welcome back Dave Horne of My Buzzards Bay to share his highlights from first-hand experience. 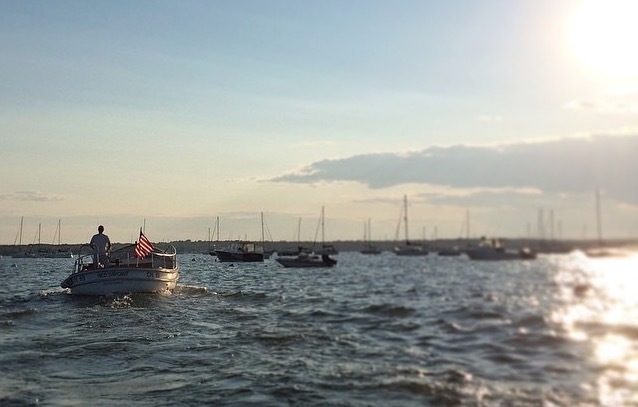 I’ve boated and lived in Mattapoisett since I was a kid, so it was never a destination to me. The truth is, it’s really a great one. 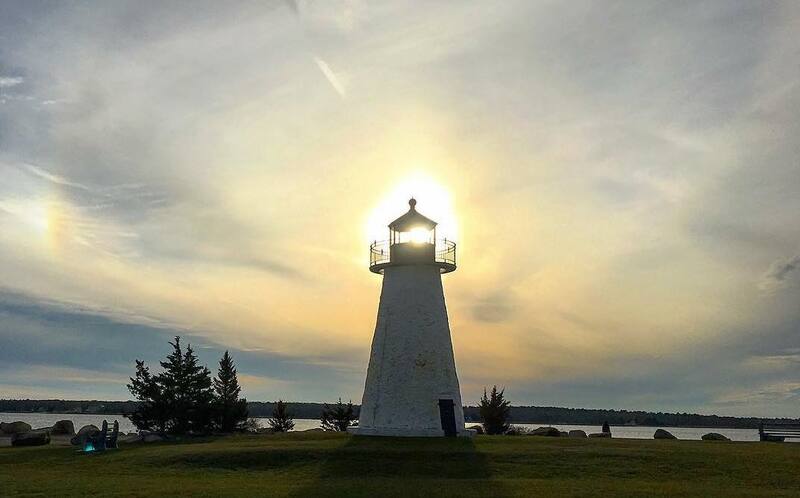 Mattapoisett is a quaint little seaside town with tons of history and character. Back in the days when New Bedford was the Whaling capital of the world, Mattapoisett is where the ships were built. 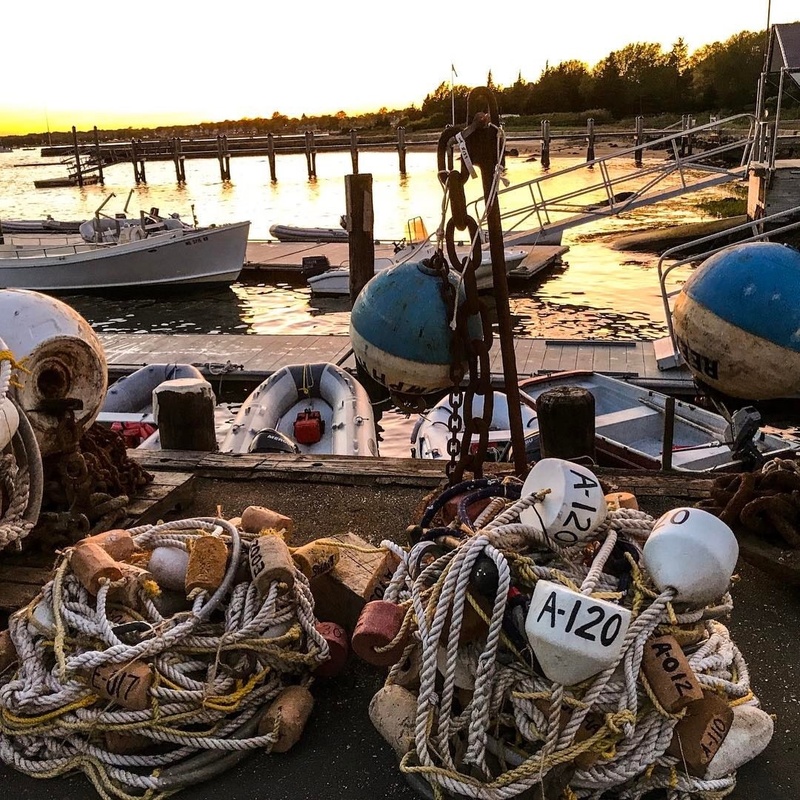 The first reason to visit Mattapoisett: It’s a generally well-protected harbor for all but a strong Southeast wind – which is pretty rare on Buzzards Bay. #2: If you live anywhere on the north or west side of the Bay, you can probably pick your way to Mattapoisett even on a windy day. The only two challenging spots are getting around Bird Island (if you’re coming from a spot northeast of Marion) and Angelica Point. Neither of these are long runs, so you can just drop down your speed and pick your way through the chop. There are plenty of moorings available at $40-50 per night and a great launch service is available at $5 per person. 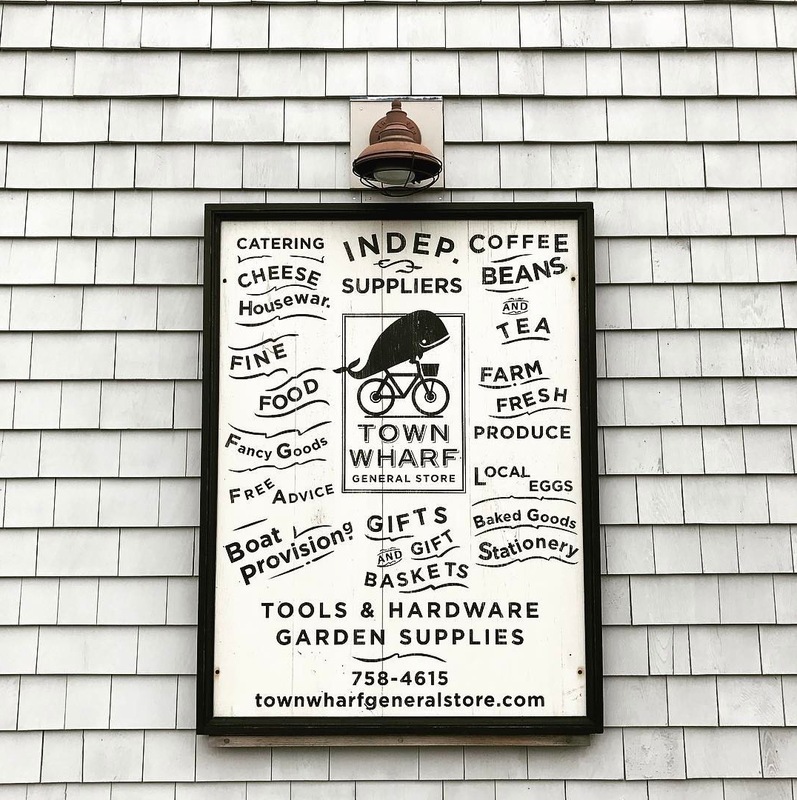 The Town Wharf General Store. 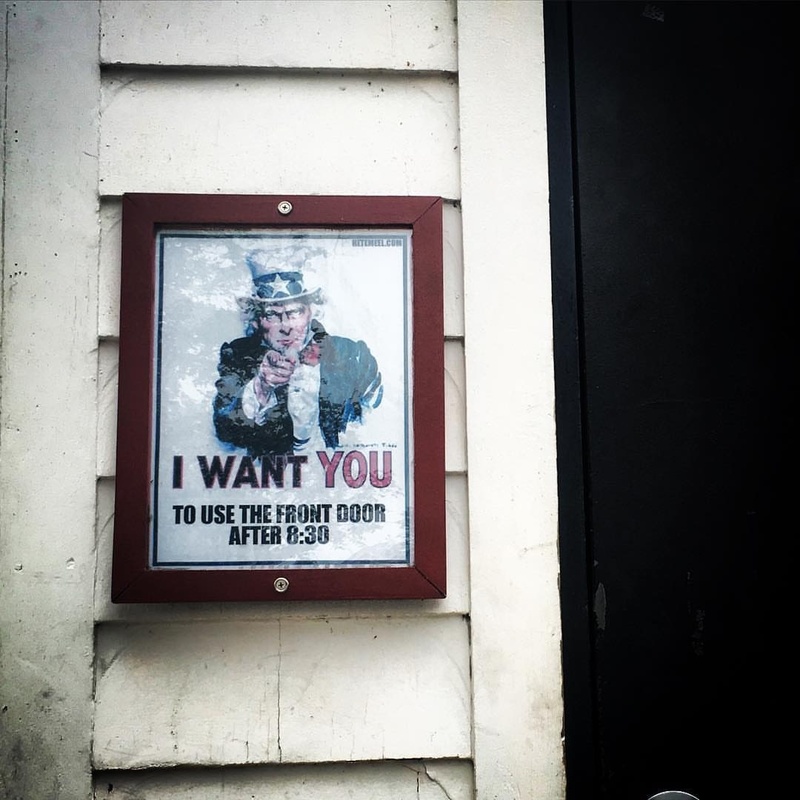 Photo credit: the Every Day Co. 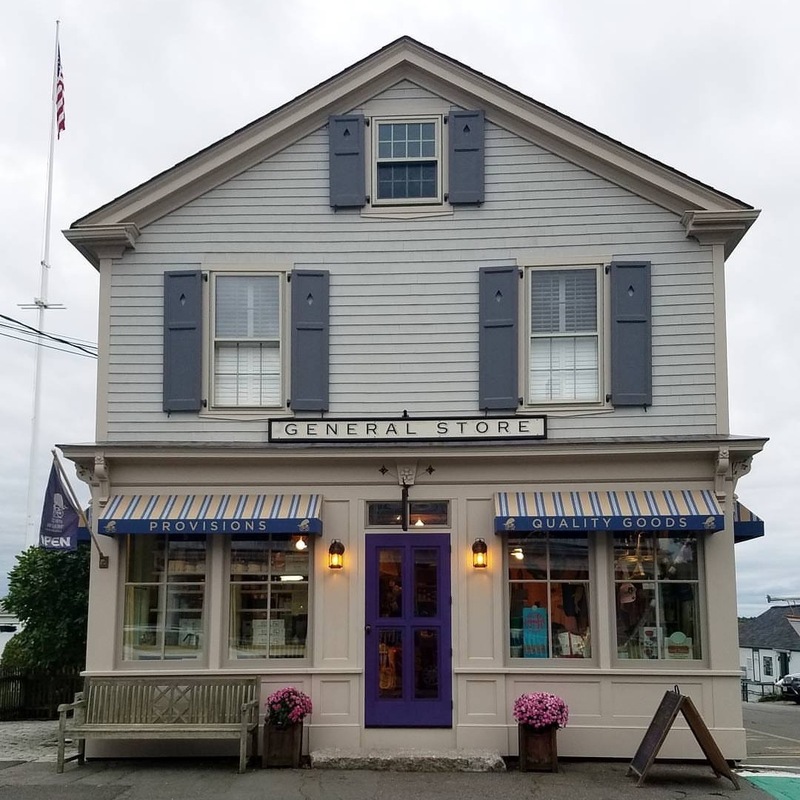 This quaint general store has both unique gourmet provisions and plenty of gifts and gadgets – The Town Wharf General Store. 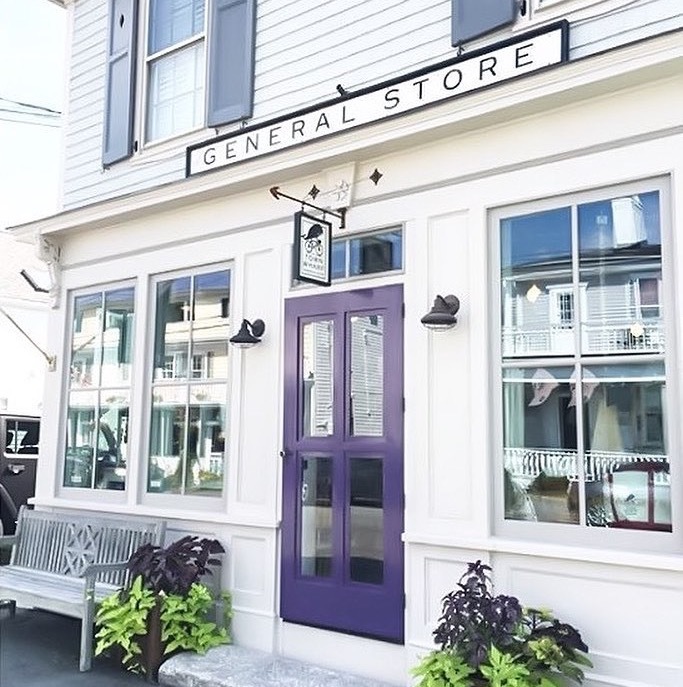 What's more, the Mattapoisett Selectmen recently granted the little general store a license to sell Wine and Beer. 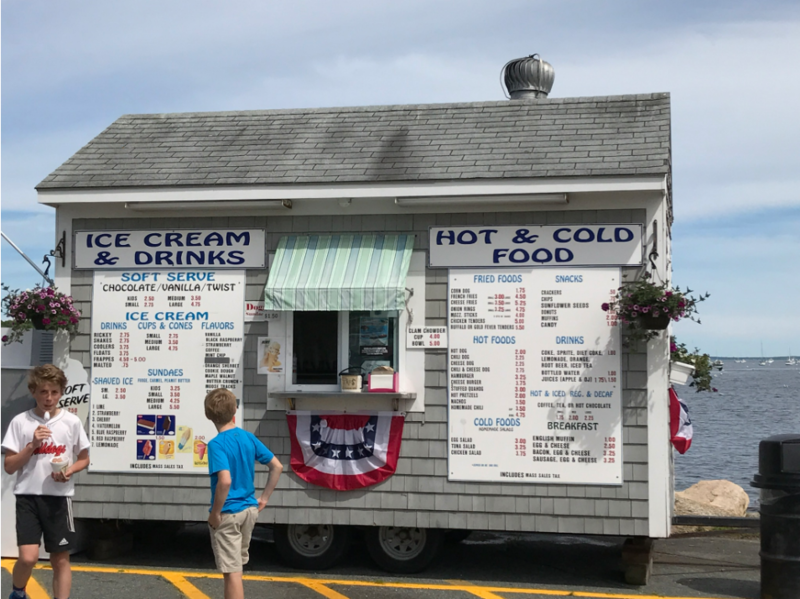 Reason #7: You can even just tie up for 15 minutes and grab a burger or an ice cream cone at the cute little food cart on the pier. My son-in-law Brian’s ancestral Grand Father James Luce was a Sea Captain and also the owner of the local Ships Block Shop (pulleys used to be called blocks and they were very important in shipbuilding). 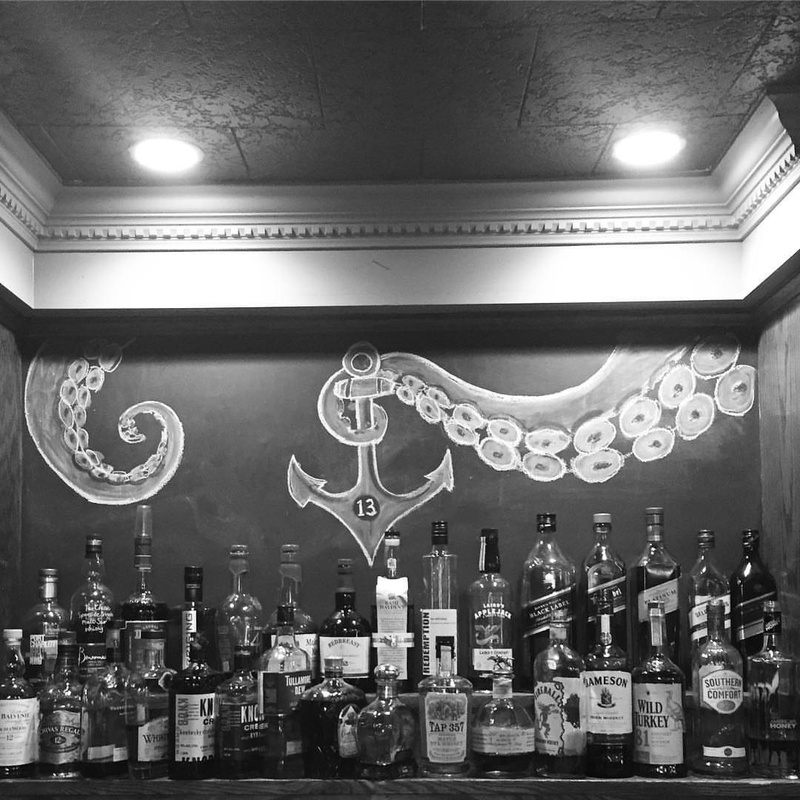 Captain Luce’s house sits between the original Mattapoisett Inn (now called The Inn on Shipyard Park) and a newer Bread and Breakfast called The Mattapoisett Inn. 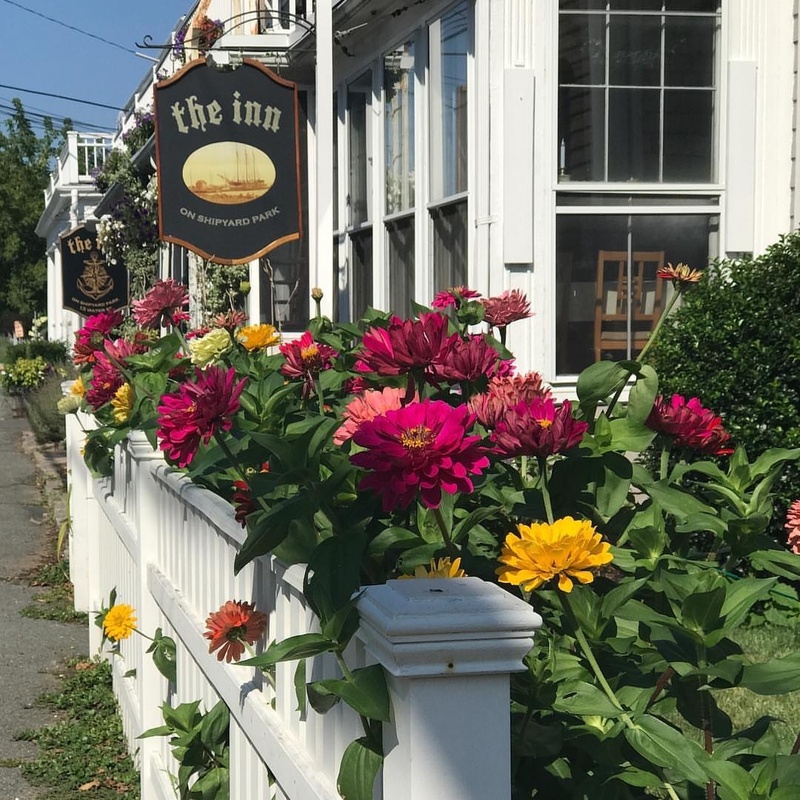 Both Inns offer rooms for rent and both sit right across the street from Shipyard Park and the Mattapoisett Harbor. 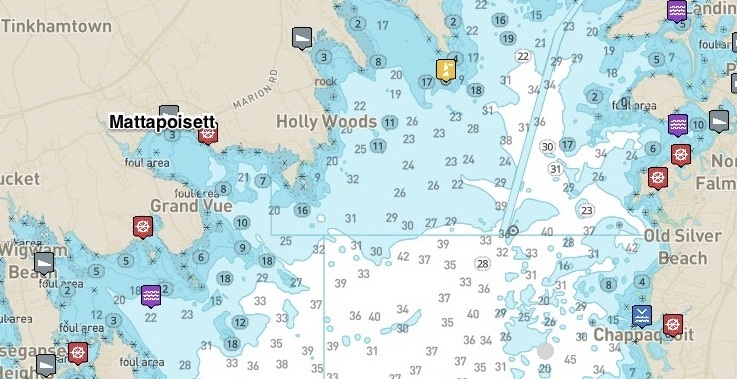 Mattapoisett is generally always open for visiting boaters. As you enter the harbor, you’ll pass Ned’s Point Lighthouse to starboard. The first major pier you’ll see is The Mattapoisett Boat Yard. This is the only place to get fuel and also the home of the harbor launch service. Click here to view Mattapoisett Boatyard on Marinas.com. Keep going and you’ll pass a number of big homes (mansions) on the right and then the next pier is Barstow Pier, which is one of a series of Town Wharf’s available on a limited basis for one hour tie-up. There is a float to the far left of the main town wharf which is also designated for a one hour tie-up. I suggest doing a fly-by of one of the Town Wharfs when you first arrive to see if there is any space. 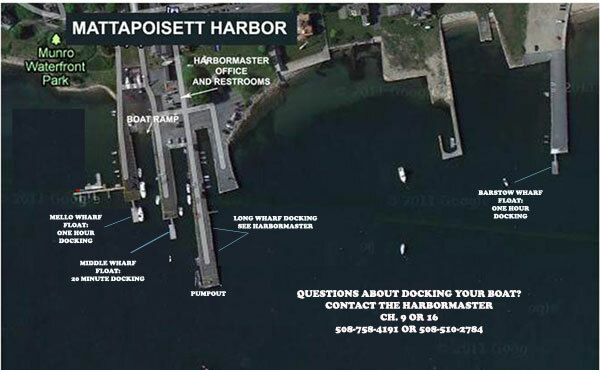 I spoke to the Harbormaster about extending tie-ups and was told that they're possible, but you need to speak to them first. 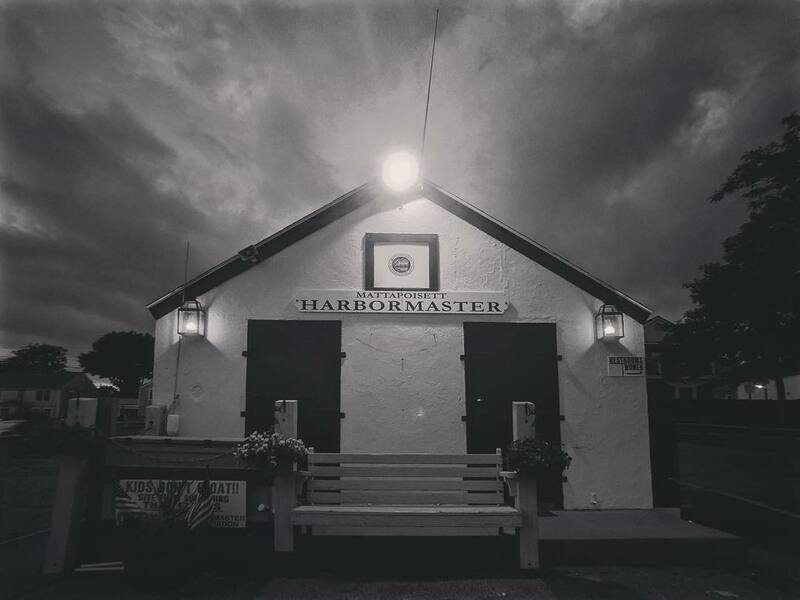 Click here to access the Harbormaster’s guest brochure. Your chances of grabbing a one-hour spot are pretty good late morning or during the week. If you strike out, rest assured you can always visit Mattapoisett by calling the Mattapoisett Boatyard launch at 508-758-4791 or on VHF Ch. 68. 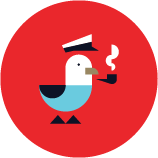 MBY will direct you to a loaner mooring and also take you to any of three Mattapoisett piers. The Harbormaster told me that Triad Boatworks also rents out moorings, but I’m hard pressed to find a link to use to contact them, so I’d suggest sticking with Mattapoisett Boatyard. In the 1970s, the town of Mattapoisett launched a tourism campaign with this bumper sticker. And it truly is. If you haven’t experienced this special little seaside village, 2018 is your year! Dave Horne publishes My Buzzards Bay, click here to visit his site and read more about boating adventures on the New England Coast.